A journey through Sicily and its authentic regional cuisine with this Sicily Gift box, which includes 6 of the region’s best artisanal imported products, and 6 high-quality cards that feature product serving suggestions, the story of Sicilian Nonna Elisabetta and 3 of her favorite traditional recipes (which some will use the products inside the box), and regional wine pairings from our in-house Italian sommelier. 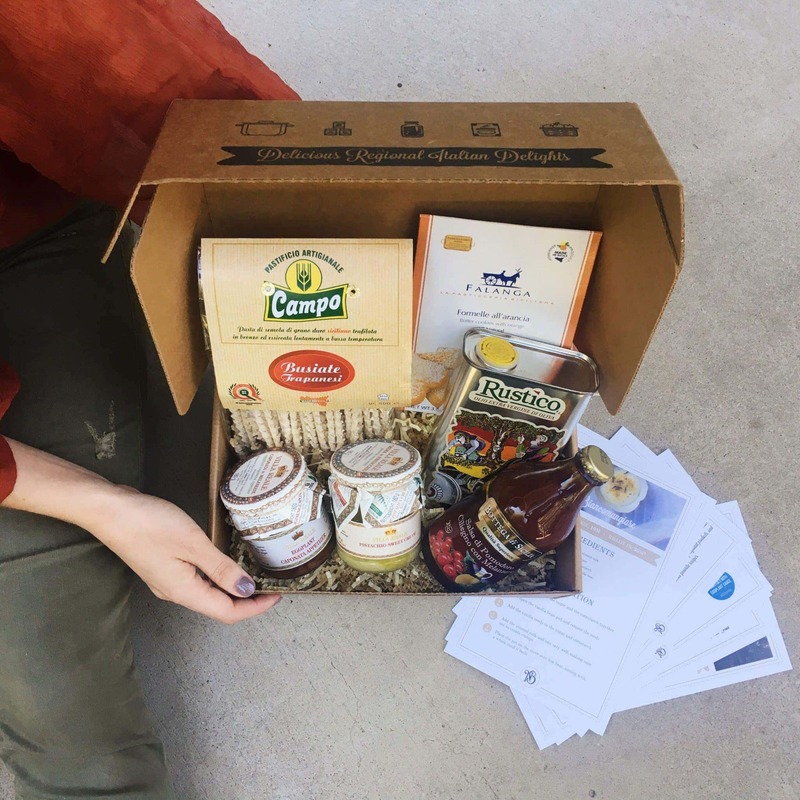 What products are in the Nonna Box Sicily Gift Box? – butter cookies with Sicilian orange. Each box contains 6 high quality stock cards with gastronomic and Italian cooking traditions, product serving suggestions and 3 traditional recipes (some will use the products in the box) with regional wine pairings from our in-house Italian sommelier (VALUE +$15). Loved my Sicily box! it came packaged perfectly, the products were excellent, the stories and the recipes amazing. Great job! !